Winding down from a hard week, preparing for a wedding or gearing up to take a vacation can be relaxing when you're at a salon getting a manicure and a pedicure. Salon technicians have the right tools and know the right procedures to make your hands and feet smooth and beautiful. Where did they learn these techniques? The history and luxury of pedicures and manicures date back to premodern times and are still useful today. Manicures began 5,000 years ago in India, when henna was used as nail polish. The popular practice eventually moved to China, where Cixi, the dowager empress was known for her beautiful, long nails. Although they were artificial, she always had them well-manicured. Fashion nails then became popular for women who did not have long nails, but still wanted a manicure. In the 20th century and into the 21st century, acrylic and UV gel nails have become the popular "fashion nails." The french manicure that we know of today as the pink nail with a white tip began in 1975, when film directors wanted actresses' nails to complement each wardrobe change. Jeff Pink, the founder of a nail lacquer and treatment company named Orly thought up this manicure style. He named it "French manicure" in honor of his friends in Paris, after runway models donned his new look. "I realized the most elegant, universal nail look is a natural nail look," Pink said. A pedicure is a treatment done to rejuvenate tired and worn feet. The history of pedicures originated in ancient Egypt. The carving shown was created by an official of an Egyptian pharaoh that shows representation of people receiving a manicure and pedicure. The word pedicure stems from the Latin word "pes," which means foot, and "cura," which means care. Pedicures are still done today to prevent nail diseases and disorders, as well as to improve posture due to smoothed and relaxed feet. Reflexology is the act of applying pressure to the feet and hands with hand techniques that are based on the zones and reflex areas that affect other connected body parts. The image maps out the areas where different body parts are represented, such as the shoulders, spine, arms and so on. Reflexology helps reduce stress and although spa technicians may not be reflexologists, the outcome of pedicures mirrors the results of reflexology treatments, as they share similar goals such as rejuvenation and relaxation. Manicures and pedicures are stress-relieving treatments that provide relaxation, produce softer skin and leave you feeling revitalized. 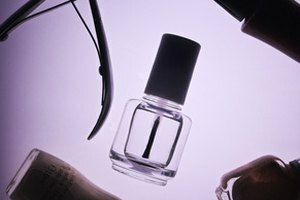 Oils and lacquers used on fingernails and toenails also provide your nails with longevity and make them stronger. You can also give yourself home manicures and pedicures, which will save you money and give you time to yourself to unwind and respond to your body's need for pampering.